After eighteen days of heavy and indecisive fighting at Kajmakčalan, the Serbian army was able to open the “Gate of Freedom” and return triumphantly to its homeland. Traveling by bullock carts, on poor roads and in bad weather, the soldiers brought back not only pride and freedom, but also a memory of the great victory at Kajmakčalan that enabled them to return to their homes. 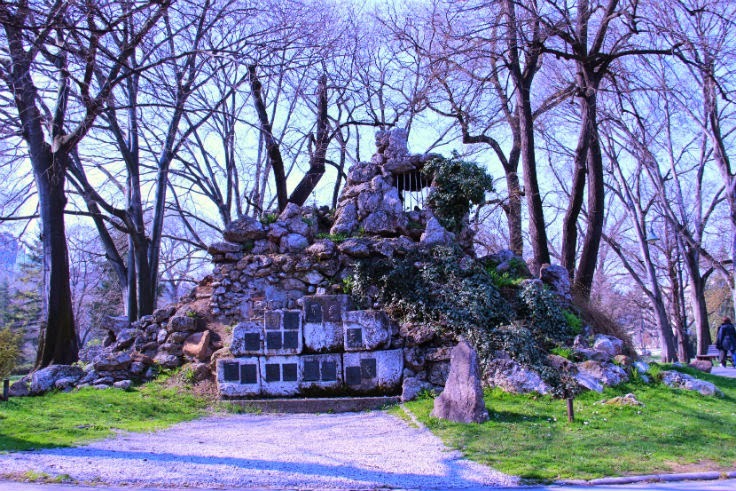 One of Belgrade’s most unusual monuments – an observation post located in the Pionirski Park, was made of stones from Kajmakčalan mountain. This monument represents a memory of the great victory in World War I, which the Serbian army achieved fighting against the Bulgarians on Kajmakčalan mountain. 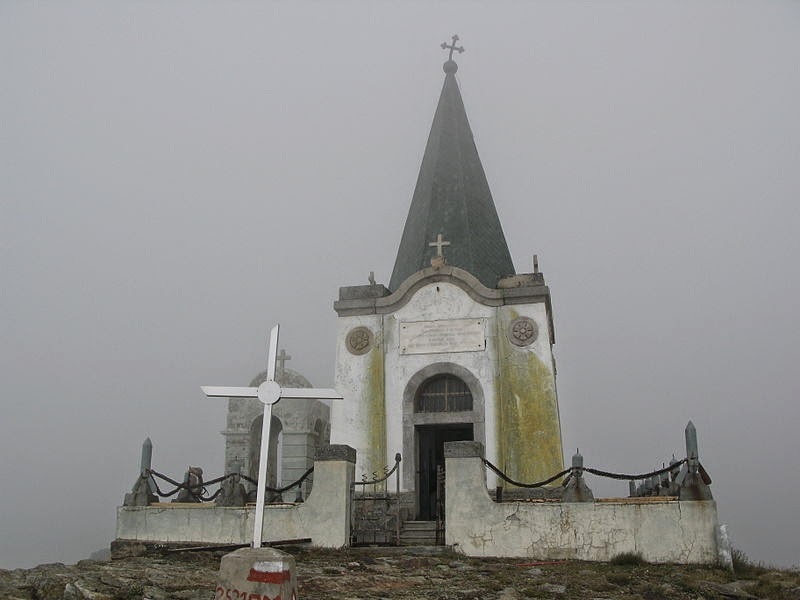 To save the memory of this victory for good, the Serbian High Command decided to take the stones from the peak of Sveti Ilija (2,524 meters high) back to homeland. At the very heart of Belgrade, in what was once a garden of the Old Palace, and where the young Princes Alexander, Tomislav, and Andrej played war games, the reconstructed watchtower stands as a reminder of all the sufferings and sacrifices made by Serbia in the Great War. 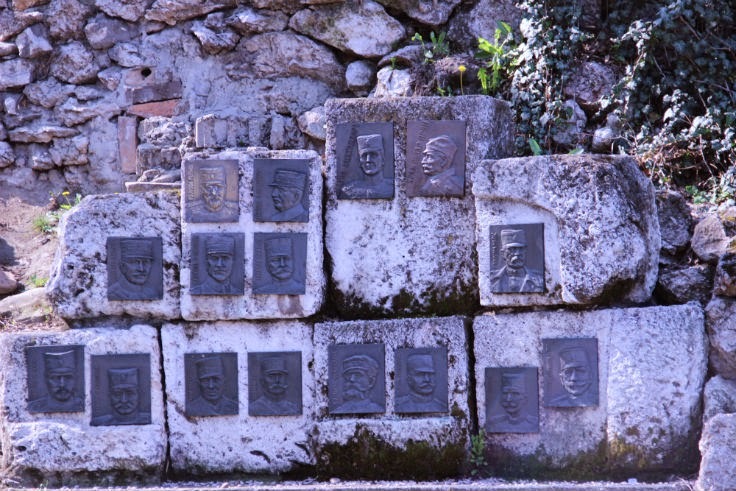 In order to prevent the great men – who fought bravely for their homeland – from falling into oblivion, the memorial plaques with the names of all Serbian generals who took part in World War I were put on the watchtower. Covered with vines and rocks, the stone tower was made to resemble the original observation post that was of great importance to Serbian soldiers in the battle (particularly remembered for the large number of deaths suffered by the Serbian army, and for the altitude at which it was fought). Brass memorial plaques with the engraved names of the [Serbian] generals who bravely fought in the Great War represent the central part of this extraordinary monument. Until 1944, Pionirski Park was surrounded by a high wall and served as a garden of the Old Palace, but after removal of the wall the park was turned over to public use, when the reconstruction of the Kajmakčalan watchtower began. In addition to the watchtower that makes this park so special and interesting both for tourists and residents of the [Serbian] capital, many rare and endangered plant species contribute to its beauty and importance. A statue of the famous Serbian sculptor and painter Nadežda Petrović, and a monument to our only Nobel Prize winner for literature, Ivo Andrić, are part of the cultural richness of this botanical park (as many call it). The abundance of greenery, rare trees and plants, lots of resting benches and walking paths, make this park a favorite place for sightseeing, strolling, and relaxation. Courage, love, and a desire to return to their homeland gave the Serbian soldiers strength to conquer the “impregnable city”. Their endeavor and dedication was eternalized in a modest way – by erecting the watchtower in Pionirski Park [in Belgrade] and a small memorial church at the top of Kajmakčalan, where the skulls of dead Serbian soldiers are kept. “To my fearless and faithful giant-heroes, who opened the doors to freedom with their chests, and stayed here as guards at the threshold of the fatherland”, reads the dedication by Aleksandar Karađorđević at the memorial chapel. The battle of Kajmakčalan was fought between the Kingdom of Serbia and the Kingdom of Bulgaria on the Salonika front, in World War I. Various names for Kajmakčalan tell us about its significance: the Bulgarians called it the "City of Boris", because they thought it couldn’t be captured, whereas the Serbs called it the "Freedom Gate", because they stepped into their country at that very point, for the first time after many months. The battle was fought between the 12th and 30th of September 1916. Halt, Traveler! Here they lie! One by one, buss them all! And removed the martyrs from the cross. Serb, halt! Here they lie! And lower your forehead with prayer!